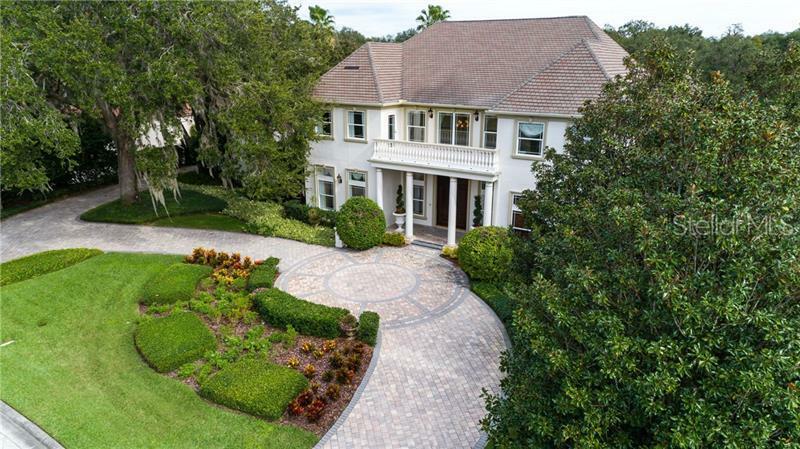 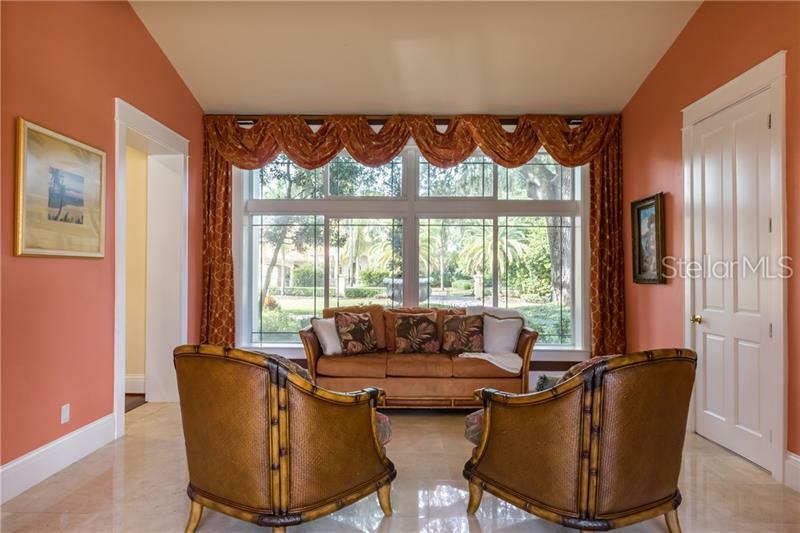 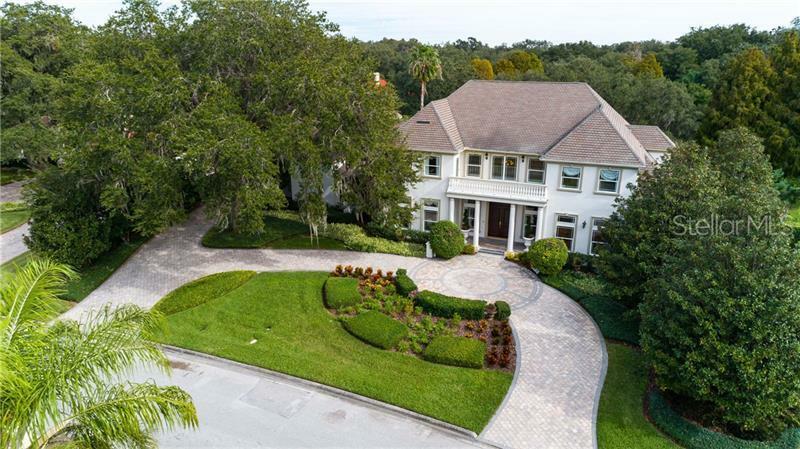 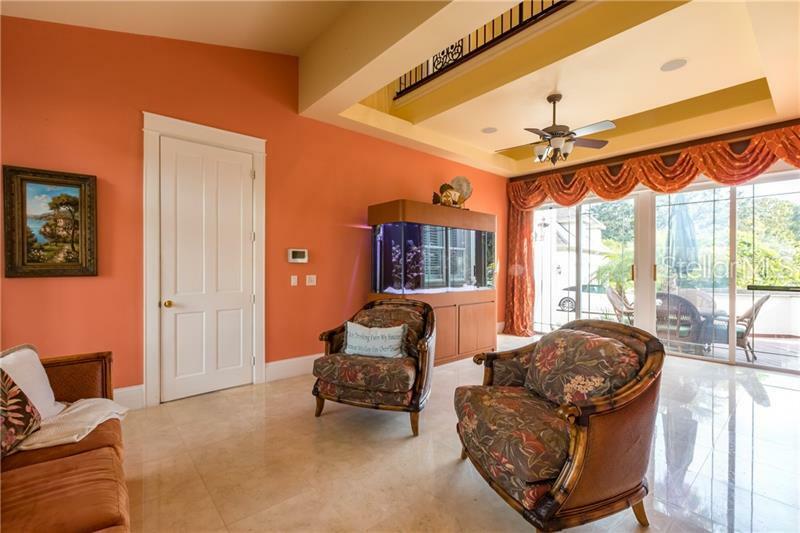 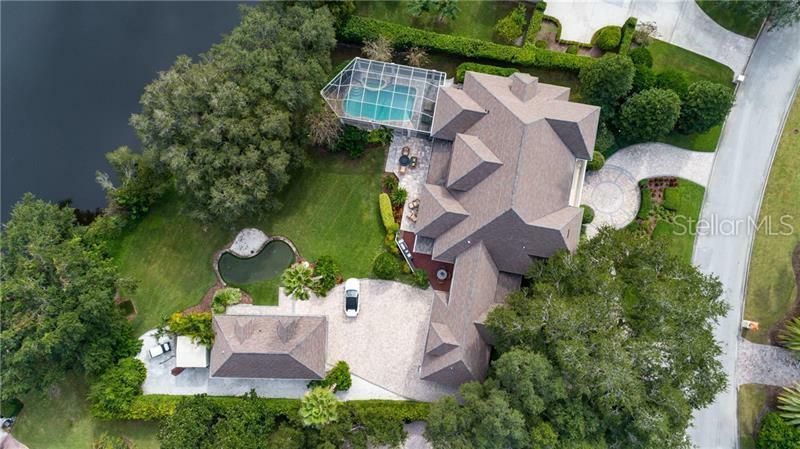 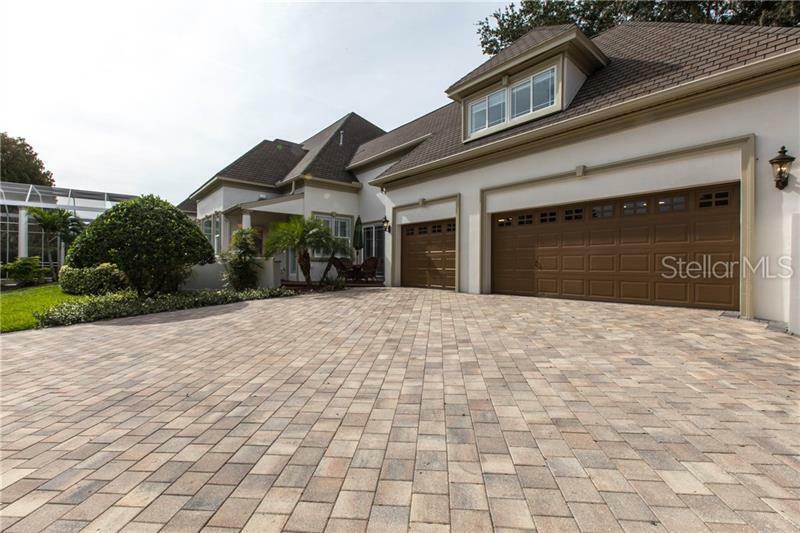 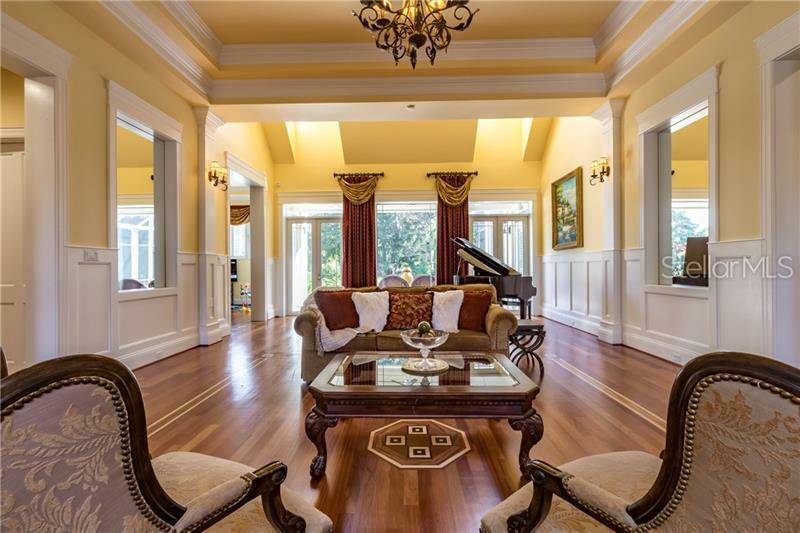 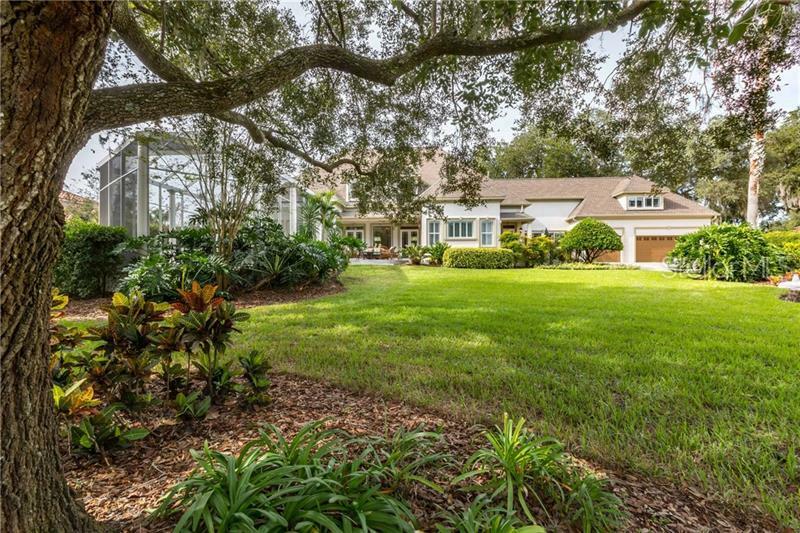 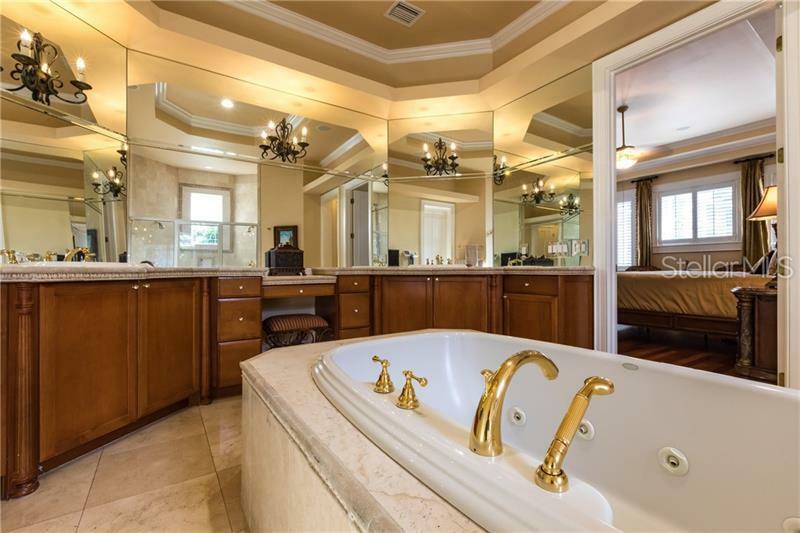 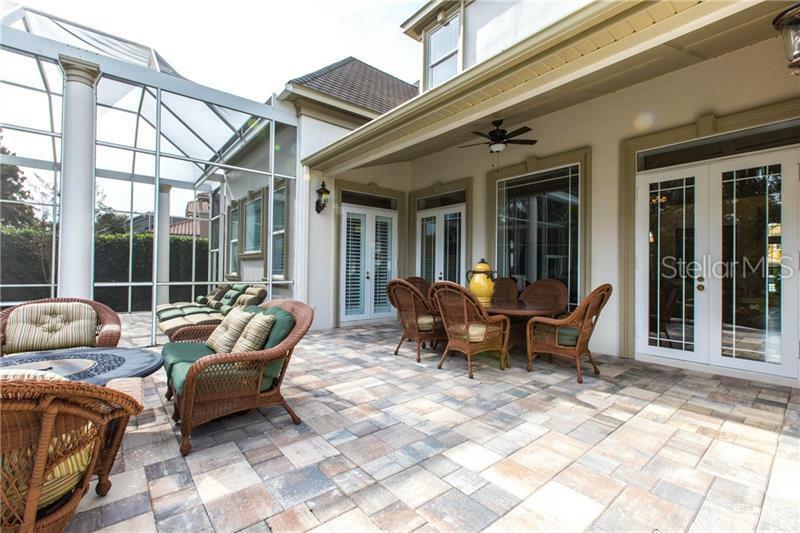 Situated within the prestigious guard-gated neighborhood of Avila, Tampa Bay's premier country club community, this exquisite custom home impresses in every detail. 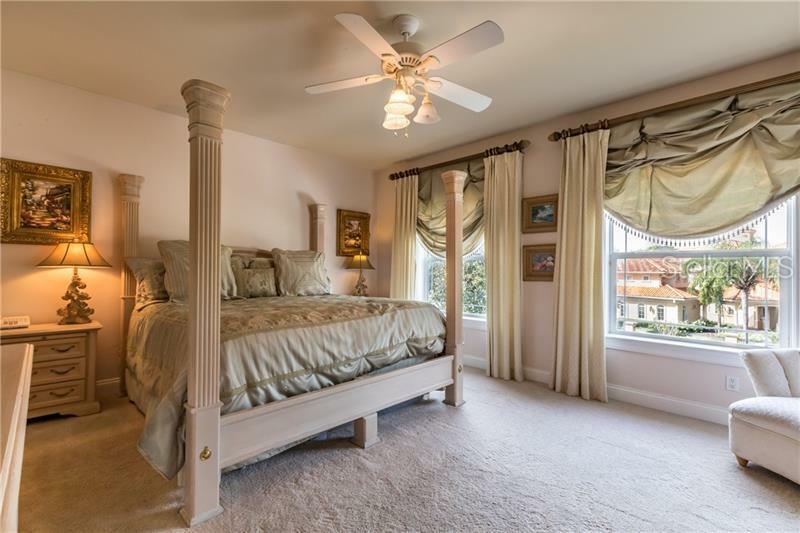 With over 7385 air conditioned square footage overlooking a serene pond setting, this estate includes a 2-story guest suite. 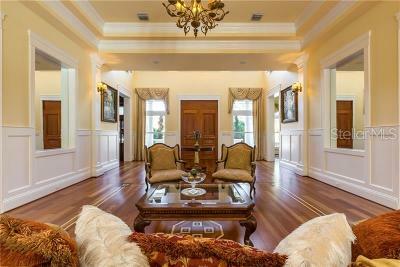 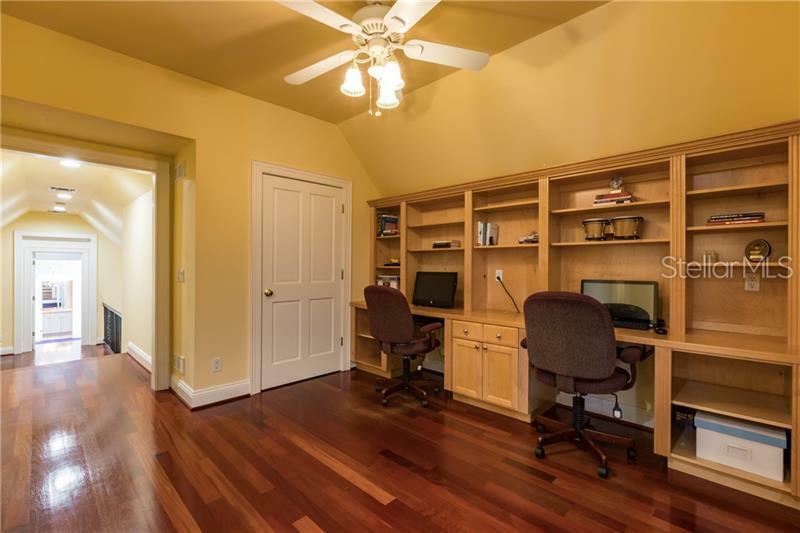 Main house features 5 bedrooms, 4 full and 2 half baths, library, theatre, loft area, and 3-car garage. 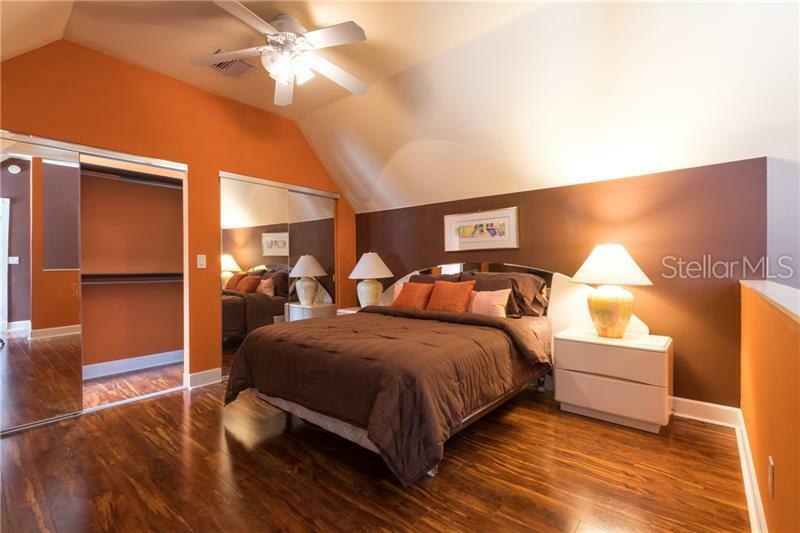 Detached guest suite includes a bedroom, full bathroom, family room, kitchen, and 2 car garage. 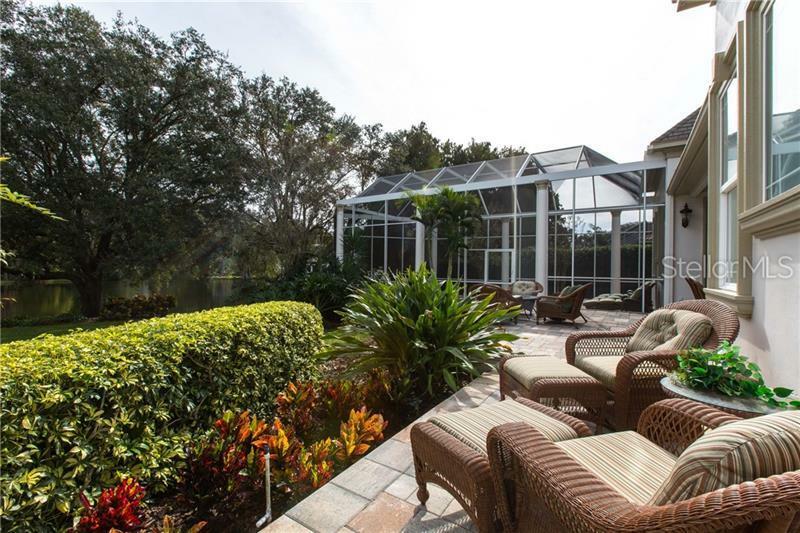 The outdoor entertaining area includes screened pool with spa, putting green with sand trap, lush landscaping, outdoor kitchen and serene pond views. 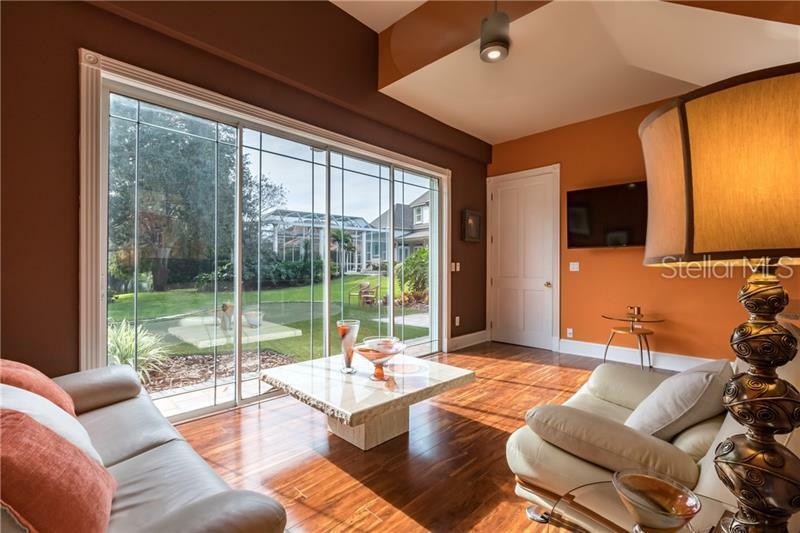 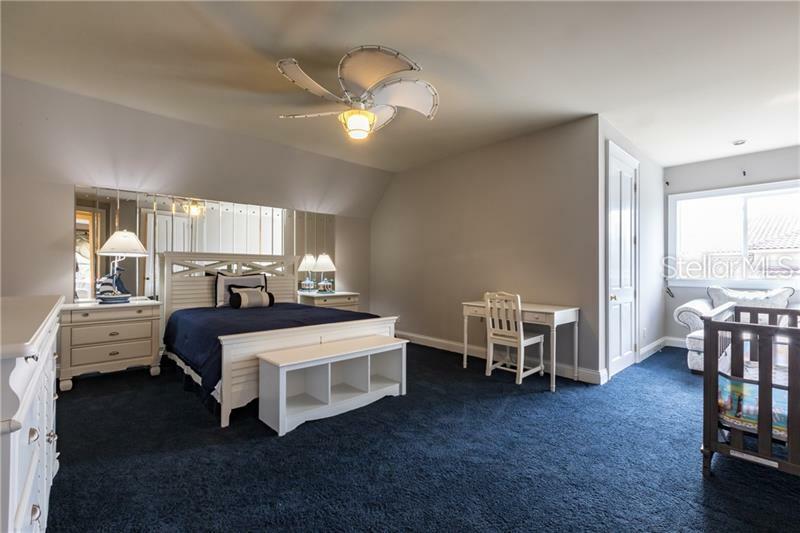 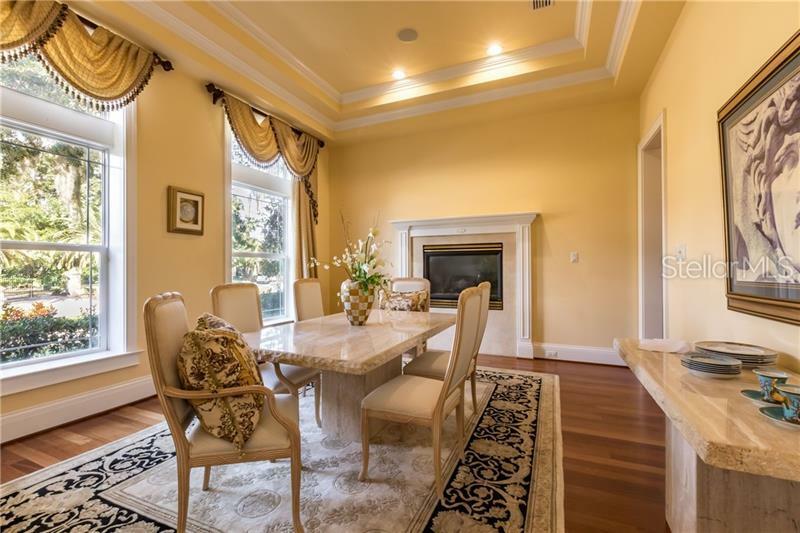 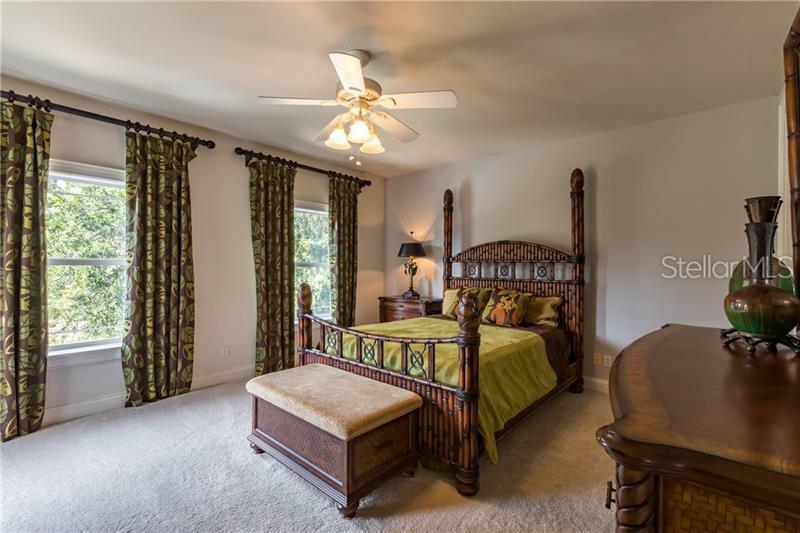 Quality craftsmanship & amenities set the stage for elegance and luxury- wood and marble floors, double trey ceilings, crown moldings, custom cabinetry/ceilings/window treatments. 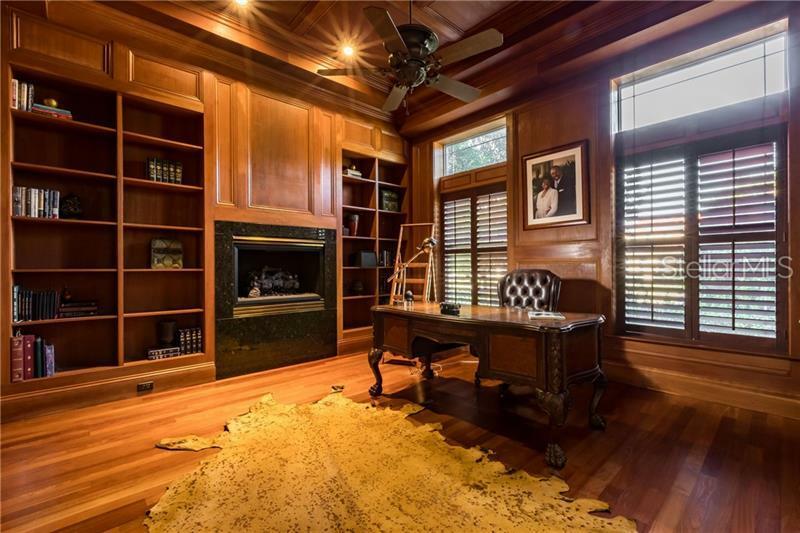 Double door entry open into grand foyer and living room, wood paneled library and formal dining rooms, both with fireplaces. 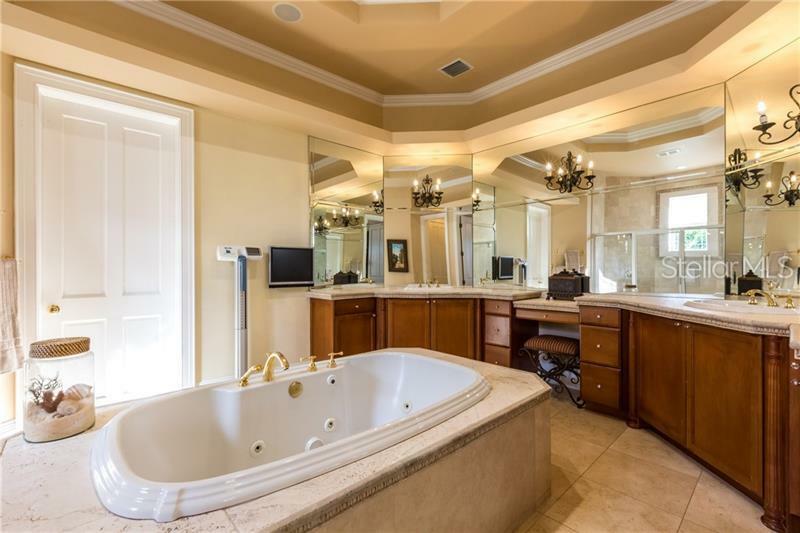 Luxurious downstairs master suite features his and her closets, jetted tub and walk-in shower. 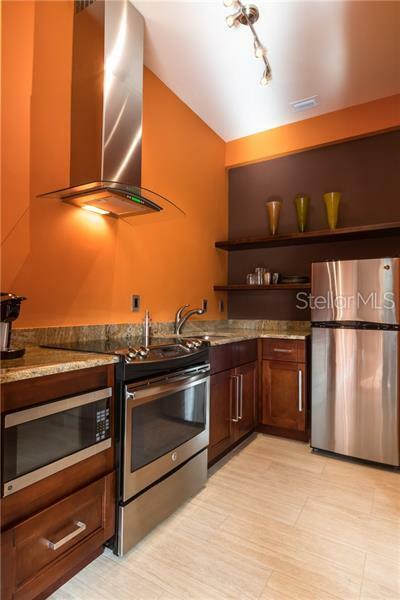 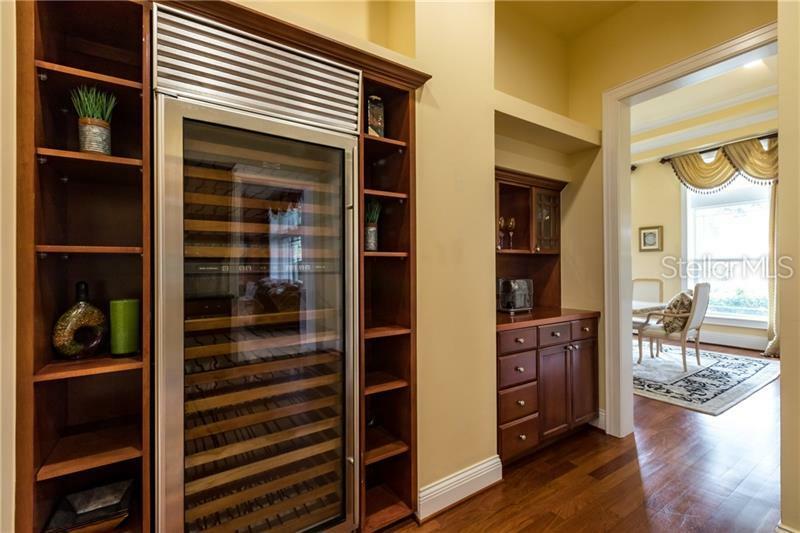 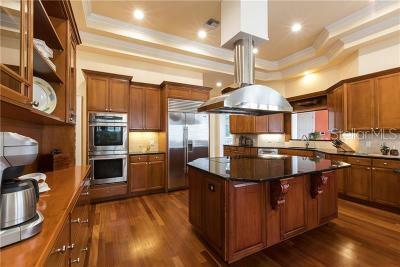 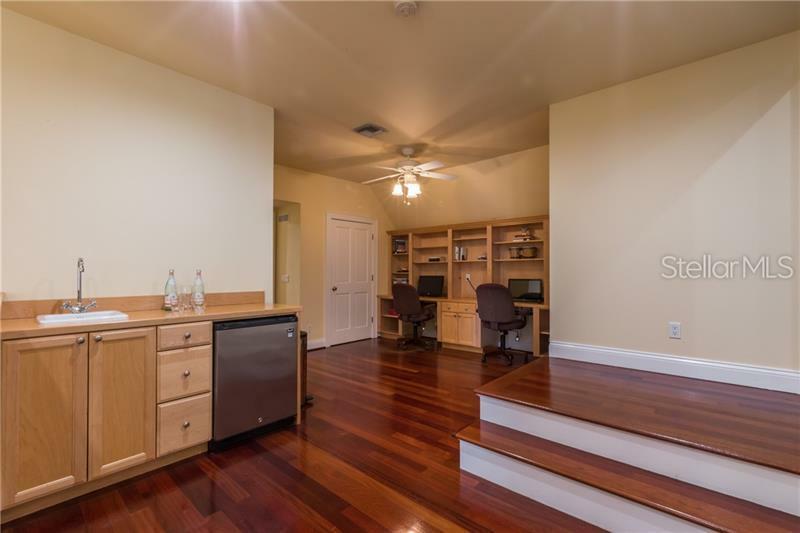 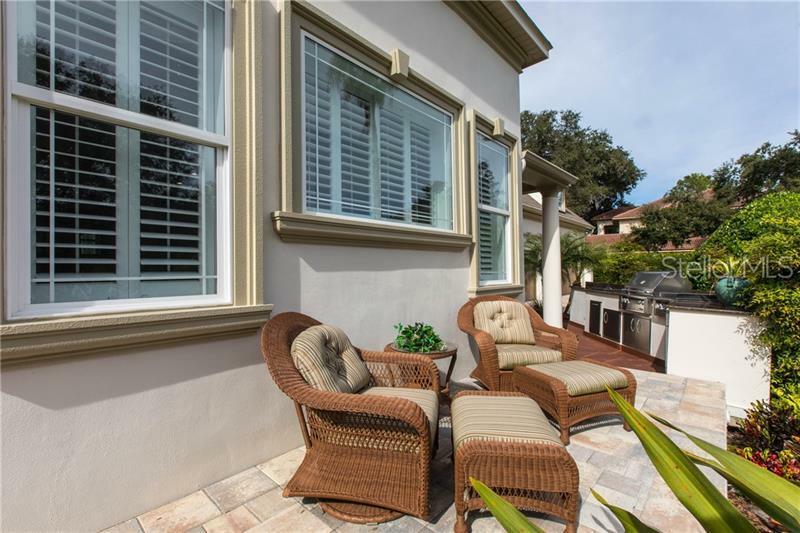 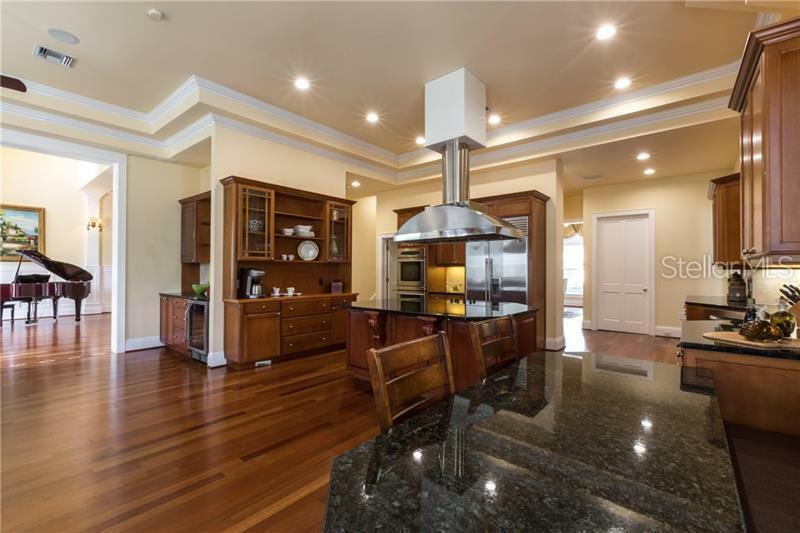 Well-appointed kitchen overlooking family room is equipped with cooktop island, 2 dishwashers, Subzero refrigerator, double ovens, walk-in pantry, butlerâs pantry with wine refrigerator, dinette with built-in granite table and bench. 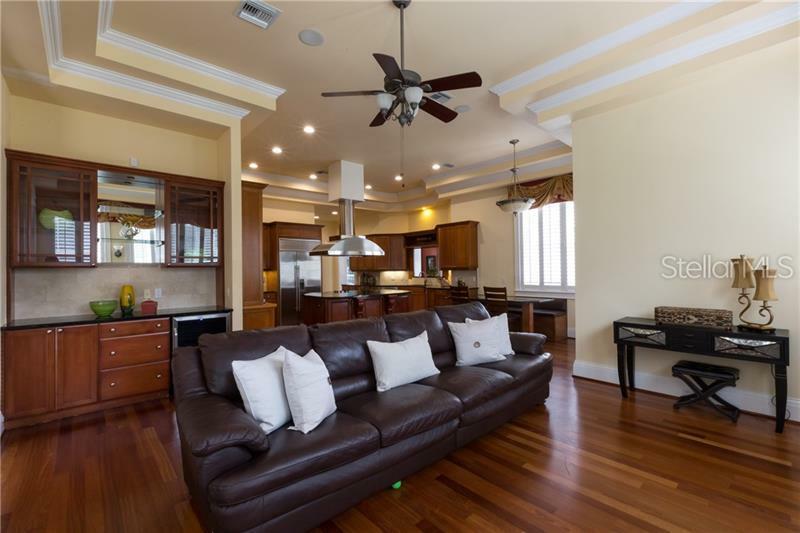 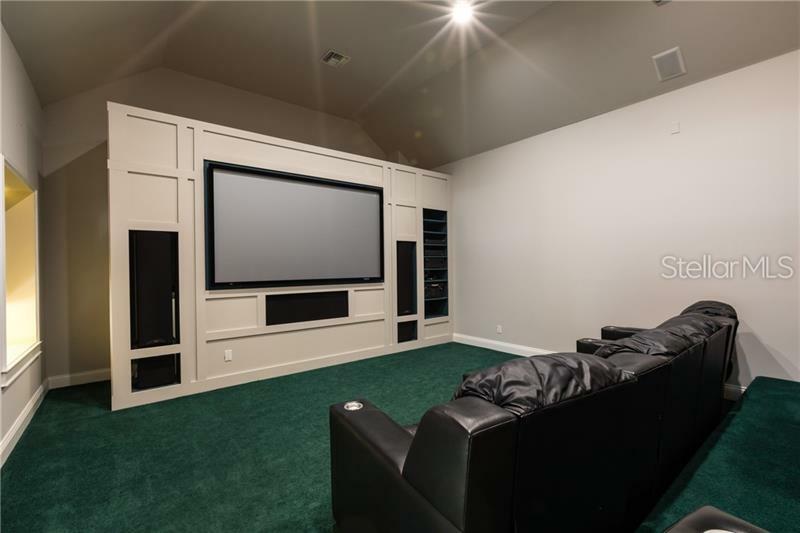 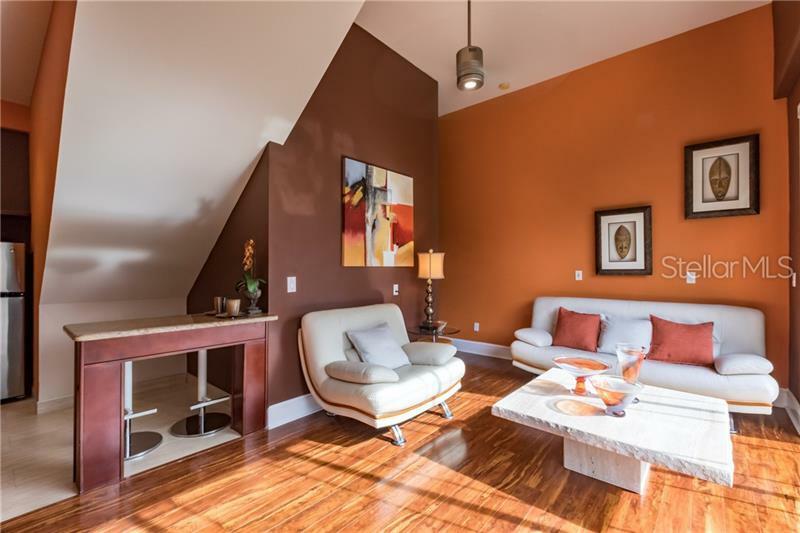 Second level includes 4 bedrooms, 3 full baths, theatre with seating, loft with custom desks and wet bar. 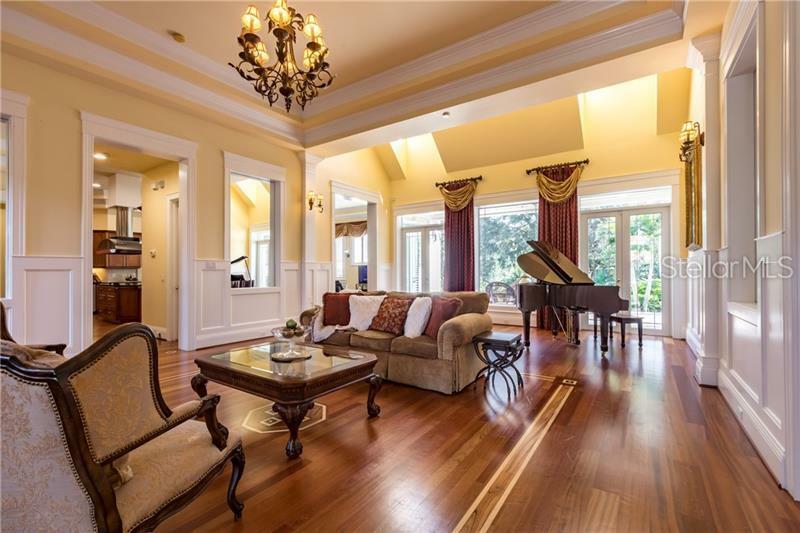 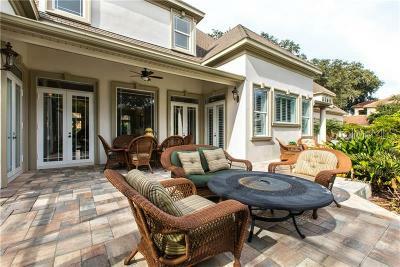 This home provides gracious living-formal and informal entertaining alike!